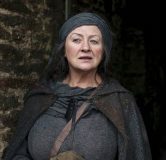 Merlin is a drama series on BBC One which updates the story of the infamous sorceror of Arthurian legend for a new audience. The mythical city of Camelot, in a time before history began. A fantastical realm of legendary beasts and mysterious peoples. A dangerous world in which magic has been banned by the ruthless tyrant, Uther Pendragon. 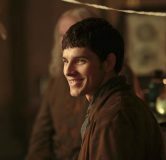 When Merlin, a young man gifted with extraordinary magical powers, arrives in the kingdom, he quickly makes enemies, including the heir to Uther’s crown, the headstrong Prince Arthur. 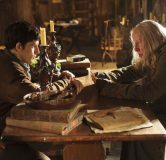 But guided by Uther’s wise physician, Gaius, Merlin is soon using his talents not just to survive but also to unlock Camelot’s mystical secrets. 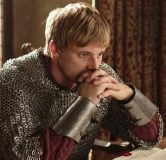 As he does so he discovers that his destiny and that of the kingdom’s young leader in waiting, Arthur, are inextricably linked. 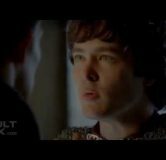 Clip for the 11th episode of Merlin Series 5. 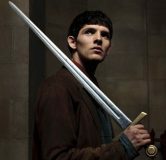 Hints and teasers for the 11th episode of Merlin Series 5. 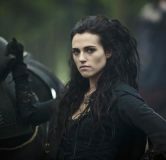 A gallery of pics for the 11th episode Merlin Series 5. 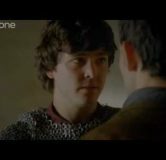 Mordred finds himself torn between loyalty and love. The verdict on the 10th episode of Series 5. 15 hints and teasers for the 10th episode of Series 5. Airdate and times confirmed for the final two episodes.